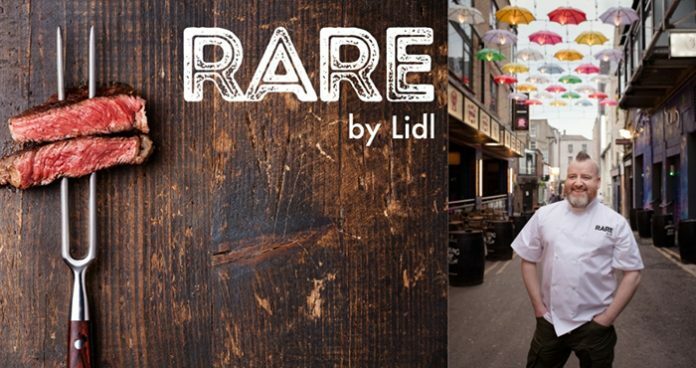 Lidl Ireland has recently announced the launch of Rare by Lidl, a brand new dine in the dark pop-up restaurant which opens its doors in Dublin from April 25th- 27th 2019. Have you ever wondered how your senses would react in complete darkness? Rare by Lidl will take you on a sensory journey thanks its new pop-up Lidl restaurant designed to enhance your taste buds by dining in complete darkness. It will be a journey of the senses that will make you re-evaluate your perception of taste, smell and touch. 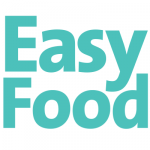 Guests will enjoy a 3 course meal which has been created by Chef Gary O’Hanlon made using all Lidl ingredients. This blind dining experience will begin in a pitch black dining room where our waiters, wearing night vision goggles, will guide and assist guests to their table. When guests have finished their meal, they will be invited into an experience room where the ingredients and cuts of Lidl’s Irish beef used in the menu will be revealed by the Chef. Rare by Lidl takes place from Thursday 25th to Saturday 27th April at Venue 35, Anne’s Lane, Dublin 2. Tickets are priced at 15€ per person and available now from www.lidl.ie/rare. All proceeds from the event are being donated to Lidl Ireland’s charity partner Jigsaw, the National Centre for youth mental health in Ireland.